A little at home school action this morning. I was only able to get Asher into a two-day a week preschool program...so I decided that I would fill in doing stuff with him on the days that he's home. To make a long story short, with moving earlier this year, I was only able to get Asher into a two-day a week preschool program here in the south. So, with that being said, I decided that I would fill in doing stuff with him on the days that he's home. 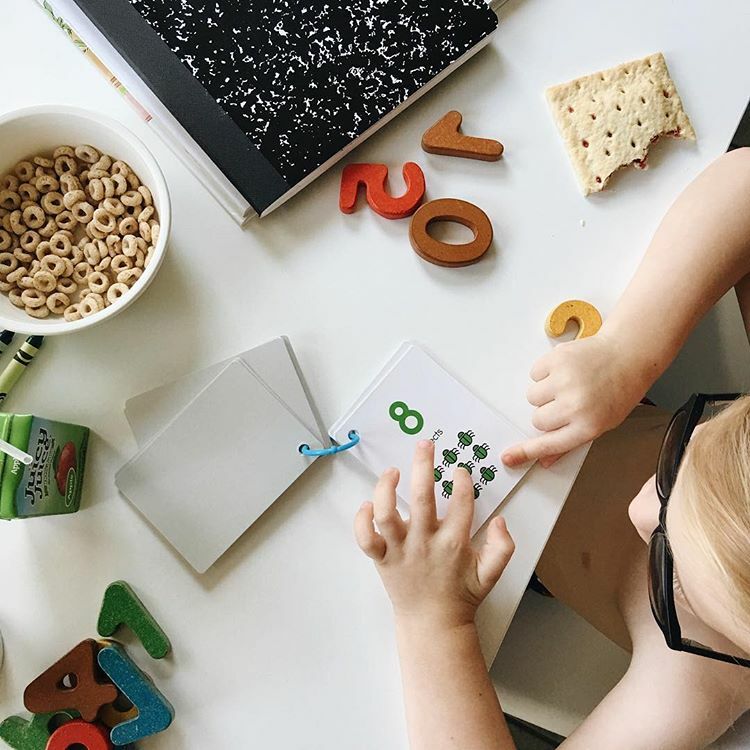 Today we are starting off with some numbers/counting and I can't help but to be totally obsessed with these little number cards from Papery Pier! Asher loves them and I love that they are perfect for his little hands, made from a nice thick material, and full of adorable little pictures to help him get his counting and numbers down!